Welcome to the 2018-2019 school year at the Lake Havasu Unified School District. This year there has been an increase in meal prices due to USDA Regulations. Free and Reduced Meal Applications are available at all the school offices, the District Office and conveniently online at HeartlandApps.com. If you have any questions regarding the Free and Reduced Meal Program, please call 928-854-5413. Menus are sent home each month at the elementary schools and can also be found on the individual school and District websites. If your student has a pre-paid meal account you can easily check the balance by either downloading the MySchoolBucks.com phone application or checking online with a MySchoolBucks.com account. A free account can be set up to receive low balance alerts and the ability to see what your student is purchasing. Meal accounts can also be funded through MySchoolBucks.com, but there is a $2.49 service fee per funding site. Students at the Lake Havasu Unified School District are allowed, per School Board policy, to charge up to 3 meals during the first 2 weeks of school. This is to allow time to get meal accounts funded. No ala carte charges will be allowed. Students that have no funds after 3 charged meals will be offered the alternate meal. 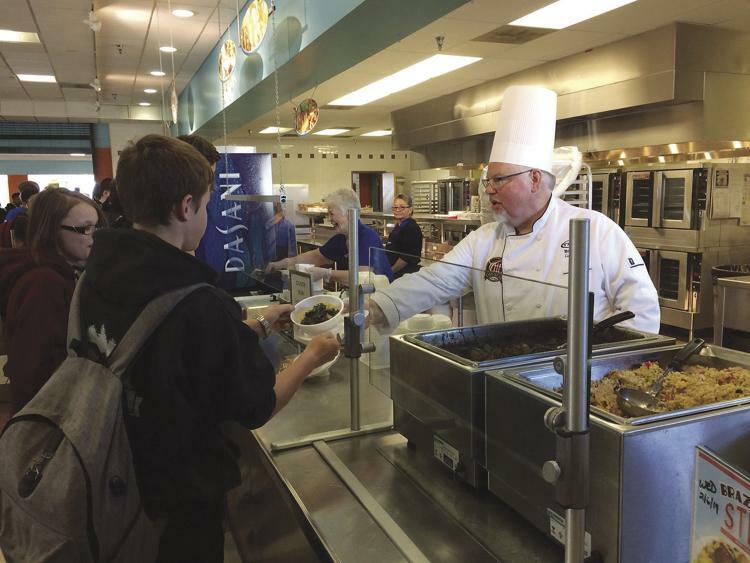 After the first 2 weeks of school, students MAY NOT charge meals. The alternate meal consists of peanut butter, crackers, carrot sticks, ranch dressing, a fruit and milk. Adjustments will be made for students with a signed allergy form. Low balance letters are sent home with elementary students, twice a week, when their balance gets low. Please watch for these notices or sign-up for alerts at MySchoolBucks.com. At ANY time during the school year a new or updated meal application can be filled out either online at HeartlandApps or at your school office. We look forward to feeding your student a nutritionally complete breakfast and lunch that’s low in sodium and topped off with as much locally grown produce (when available) that we can find! WHAT OTHER SERVICES DOES Taher PROVIDE? The local Taher kitchen can provide a broad range of catering services. For more information about catering your event, call 928-854-5411.